I read this book for academic purposes, and I really found it quite informing and useful. 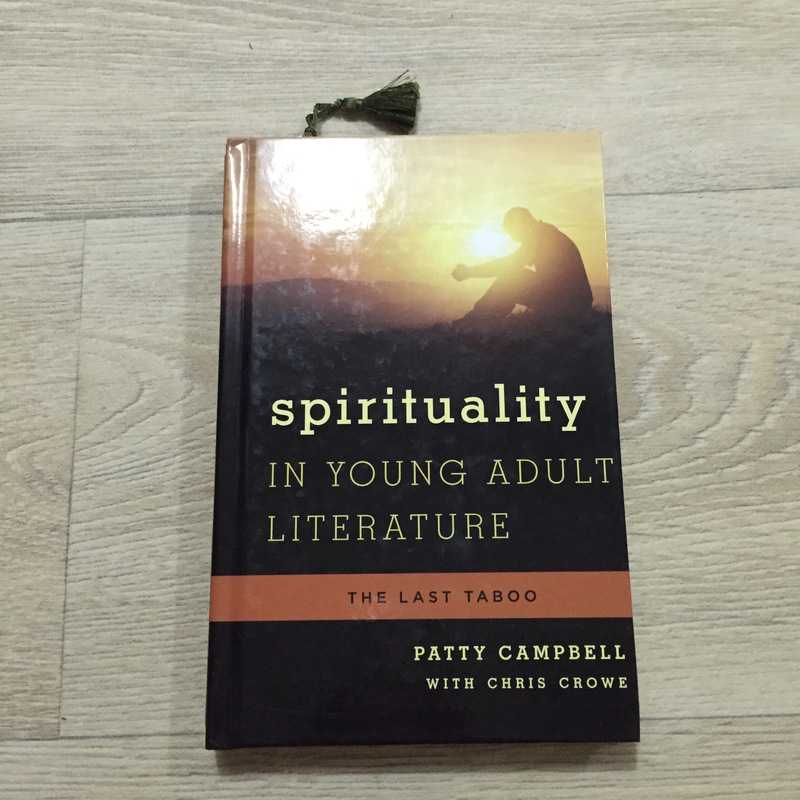 The book proposes one main question: why authors avoid religion/ spirtuality issues when they write young adult books. To answer this question, Campbell divides her book into eight chapters and includes a ninth by a contributor . She begins each one with a brief overview of its topic, and then a more in-depth discussion of two or more books, connecting the content of these books with the spiritual struggle of a character. She covers all the well-knows religions ( Islam, Christianity, Judaism, Buddhaism, etc.) and explain that although writers avoid direct discussion of religions, they did write about fantasy, apocalypse and other related topics, which as Campbell explained, “are inherently spiritual, because the plots [of these books] nearly always progress toward a showdown between good and evil.” This explains hence the popularity of fantasy among teens (it answers their spiritual questions). Further, the frequent use of these themes in YA books proves that questions related to religion, faith, god and are important, and will prove to be pivotal to YA readers.